Nigerian singer, 2face Idibia has revealed what he went through after he had many children with different women. 2face stated that he nearly got depressed following the development. He made this known when he was featured in the December edition of the Genevieve Magazine with his wife Annie Idibia. 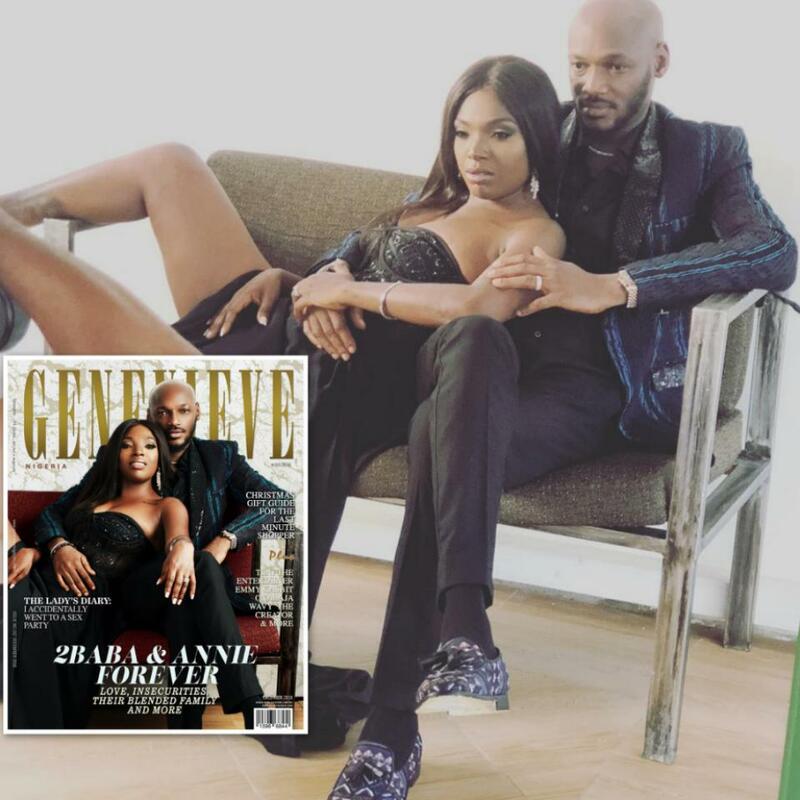 ''Having so many children from different women at such a young age almost sent me into depression' - 2face tells Genevieve magazine. I drank a lot because people laughed at me and called me names. Nobody cared that I was an artiste or that I had worked so hard,'' he said. The veteran musician has seven (7) children. Two with Annie, two with Sumbo Ajaba-Adeoye and three with Pero Adeniyi. 2face tied the knot with Annie in 2013.